I'm a self-confessed awards show junkie. I watch them all: the SAG Awards, Directors Guild Awards, Independent Spirit Awards — I'd probably watch the Award Show Guild Awards, if such a thing existed (and by next year, it probably will). On Jan. 15, it's the Critics' Choice Movie Awards' turn to be the spectacle of the day. The CCAs are actually one of my favorite shows, because (as you probably guessed) it's the film critics who determine the winners. These people dedicate their lives to judging movies, so it only makes sense that their picks for Best whatever are recognized. But even I have the cultural awareness to understand the sad reality that, during awards season, only one show really matters. What everyone's really wondering is, do the Critics' Choice Awards predict Oscar winners? The Academy Awards will always be the big daddy of all awards shows. It's the final show of the year, and the only one that people who don't actually care about who wins Best Sound Design still sit through. From now until Feb. 22, every win at all these other shows will be factored in to predict who walks away with an Oscar. So how well did the Critics Choice Awards do last year in predicting who got got one step closer to their EGOT? First, let's take a look at this year's CCA nominees. How close did last year's Critics Choice Awards come to accurately predicting the 2014 Oscar results? You might be surprised just how well they did. The CCAs have a little more leeway with choosing their winners because, like the Golden Globes, the Broadcast Film Critics Association divides their winners into categories by genre, like "comedy," "drama," "action," and "sci-fi." Other movies were named Best in each of those categories, but 12 Years a Slave took home Best Film, the most prestigious award, just like at the Oscars. Right again. Cate Blanchett took home an Oscar and a CCA for her role in the Woody Allen dramedy based on A Streetcar Named Desire. Amy Adams won Best Actress in a Comedy, and Sandra Bullock won Best Actress in an Action Movie, so I guess really all three actresses won. Man, this show is like Oprah: you get an award, and you get an award, and you get an award! So far, so good. 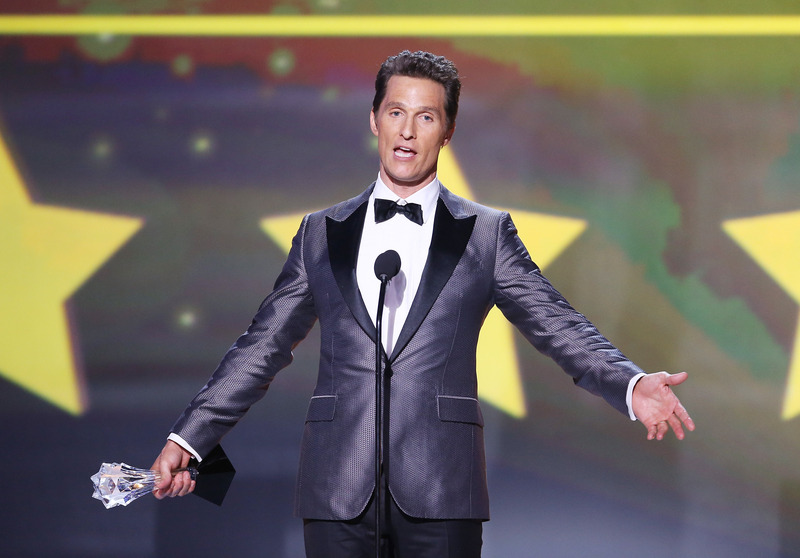 McConaughey was by far the front-runner last year, so it wasn't a huge surprise when he won these awards. It sure did give us yet another opportunity to hear him pontificate on his life's philosophy, though. Well, duh. It would've been just wrong to name anyone else Best Supporting Actress the year Nyong'o delivered her unforgettable 12 Years a Slave performance. The CCAs were unique, however, in that they also nominated Scarlett Johansson for her voice acting in Her, and Oprah Winfrey for Lee Daniel's The Butler, two performances that hardly any other awards recognized. Correct again! I guess these critics really know what they're talking about. Leto's role as AIDS patient Rayon was one of the most lauded performances of the whole year. OK, now this is just getting spooky. Again, the CCAs get it right. And there we have it, folks. The Critics' Choice Awards went eight for eight last year, choosing the same winners as the Academy Awards voters in every single major category. Obviously, this awards show isn't to be trifled with. I know where I'll be Thursday night: watching to see who I should put in my Oscar pool come February. Just don't forget to write the Broadcast Film Critics Association a very nice thank you card when your rake in your winnings.